Domenic Mondillo’s life has been entrenched in the food and wine industry. Originally from the USA, with an Italian heritage, Domenic’s introduction to wine making began as a child with his grandfather – and he has never looked back! Domenic moved to Queenstown in 1981 and for the past 23 years he has been instrumental in developing a number of top vineyards throughout Central Otago. In 2001, he and his wife Ally, established their own vineyard at Bendigo in Central Otago, producing wine under the Mondillo brand. 13 years on, this multi-award, and trophy winning wine brand seems to fly under the radar, with its sell-out vintages of Pinot Noir, Riesling and ‘Nina’ exclusively to clients throughout New Zealand and the USA. Domenic has shared his time for the past 18 years, between Queenstown and Oregon, where he consults in viticulture and winemaking. 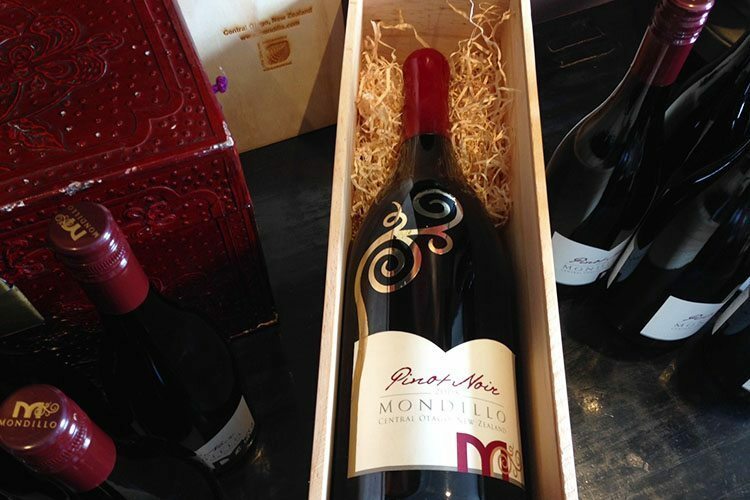 He arrives back in Queenstown in time for this exciting evening, and to collect his latest Gold medal for his newly released Mondillo 2013 Pinot Noir. He has promised to bring along his amazing Grappa with him – so it should be a night not to be missed! This very special evening will feature a five-course degustation menu designed and prepared by Eichardt’s Executive Chef, Will Eaglesfield. Each of the five courses has been expertly matched with one of Mondillo’s fabulous wines. Seats are priced at $100 per person which includes all food (five courses) and wines (six including a glass on arrival) for the evening. Seats are strictly limited and will again sell out. As a priority invitation, to secure your seats simply reply to this email and I will make your reservation for the evening.